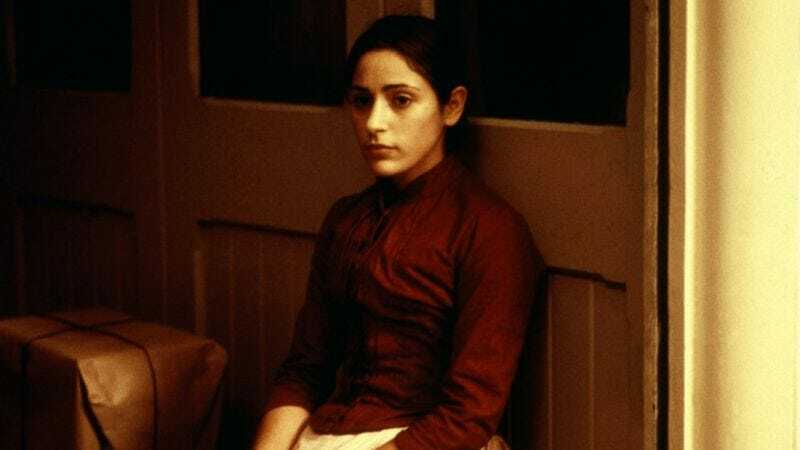 Is Summer Phoenix an awkward actress playing a great actress, or vice versa? Every day, Watch This offers staff recommendations inspired by a new movie coming out that week. This week: Roman Polanski’s Venus In Fur, based on a play about a playwright, has us thinking back on other films about the theater. To reduce the art of acting to a single method (or Method) is to ignore wildly varying opinions on the subject. For every Daniel Day-Lewis, staying perpetually in character to locate the emotional truth of his role, there’s a Laurence Olivier, stressing the importance of vocal and physical technique above all else. Esther Kahn, the first English-language film from French director Arnaud Desplechin, attributes great performances to an alchemy of approaches. “Every step must have an idea behind it,” insists veteran actor Nathan Quellen (Ian Holm), imparting nuggets of career advice upon the film’s eponymous, aspiring ingénue. Esther (Summer Phoenix, younger sister of River and Joaquin) is a quick study, capable of committing pages upon pages of dialogue to memory and mastering the mannerisms of any character she’s hired to portray. What she lacks, her mentor eventually determines, is life experience. How can someone convey the agony of heartache when they’ve never felt it firsthand? Set in London around the turn of the 20th century, and pulled from the pages of an Arthur Symons story, Esther Kahn never succumbs to the stylistic lethargy of the typical costume drama. Desplechin (Kings And Queen, A Christmas Tale) employs sudden iris shots; unusual dissolves; and a searching, gliding camera. And though novelistic in approach (complete with narrator) and steeped in era-appropriate production design, his is a period piece with a modern soul. The sticking point for the film’s detractors, of which there are plenty, is the actress in the lead: Phoenix, who hasn’t appeared on screen in a decade, delivers a performance of supreme anti-charisma, to the point where some have wondered how much of her stunted awkwardness is intentional. Certainly, believing that her unusual character could secure a position in a prestigious London theater company requires some suspension of disbelief. To that end, is it a cheat that Desplechin never actually depicts Esther’s supposedly transcendent performances, instead turning her moments on stage into hazy, wordless ballets? Necessity may have been the mother of that inventive choice; Phoenix, for all the oddball magnetism she brings to the part, may not have been capable of exhibiting the classical poise her character possesses. On the other hand, Esther Kahn is more interested in process than results. By making the theater scenes highly subjective, and rarely cutting to a view from the orchestra, Desplechin captures the enormous disconnect between how audiences experience a show and how the performers experience it. Because Esther can never step outside her body and see herself act, she can never truly trust the acclaim she receives. Her anxiety reaches a fever pitch in the spectacular opening-night finale, in which the heroine’s sudden rush of self-destructive feeling threatens to derail the whole show, even as it helps Esther ascend to some new level of emotional honesty. She achieves a breakthrough—at least according to the narrator, who can see something Esther (and the viewers sharing her headspace) never can. Availability: Esther Kahn is available on DVD, which can obtained from Netflix.